The collection of stories in Bush Studies reveals Baynton’s perspective on bush life (or studies of life in the bush) in the late nineteenth century. The stories explore, or directly challenge, gender and power relationships in the bush. Most contain colourful, vernacular language from the time, and some build to a shocking or violent denouement. Baynton’s work challenged the romanticism of Henry Lawson, and other ‘bush’ writers and poets, who tended towards an heroic vision of European settlers. Lawson’s women were strong, stoic, loyal women and often positioned as supporters or extensions of the male characters, such as the woman in The Drover’s Wife, published ten years previously. In contrast, Baynton’s women were often oppressed, violated, suffering, lonely, dismissed or struggling against a hostile social and natural environment. It is not altogether surprising that the male, patriotic publishers of The Bulletin were not willing to make room for Baynton’s stories of female alienation at the hands of men in colonial Australia, and she was not published until she traveled to England and secured an advocate and a British publisher who eventually released Bush Studies as a collection. The provocative nature of Baynton’s stories is made even more interesting today in the knowledge that she conjured an imaginary life story for herself, supposedly to allow elevation to more ‘elegant’ social circumstances. Baynton’s unusual biography is well documented and appears to have assisted her to die in relatively prosperous circumstances, with the inheritance from marriages and shrewd investments (see Wikipedia and AustLit). When Barbara Baynton’s volume of short stories, Bush Studies, was published by Duckworth in 1902, critics lauded and deplored the realism of the work, often in the same breath. In the majority of contemporary reviews, admiration is tinged with shock and concern. These stories were powerful, surely, but what might they reveal, and to whom? Australian critics were particularly concerned about how Baynton’s ‘sordid’ portrayal of life in the outback might be taken as representative of Australian life by readers overseas. The stories in Bush Studies are deeply unsettling, not least because they are deliberately ambiguous. This ambiguity is one reason the stories have been subject to the process of continued critical re-evaluation and dispute noted by Leigh Dale. “Billy Skywonkie” is a story the ambiguity of which seems to have infected its critical reception. This essay seeks to make explicit what is often left unclear in discussions of the story: it is remarkable for presenting a narrative told in part from the point of view of a woman experiencing racism in its intersection with sexual and economic vulnerability in the early years of the twentieth century. 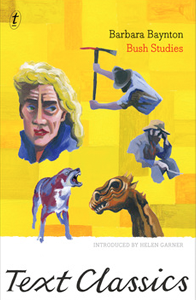 This view of Baynton’s contribution to the literary representations of Australia and the bush is repeated in the following analysis, with the emphasis on the oppositional work of her stories in a tradition that elevated bushmen, tramps and bushrangers beyond the ordinary, and certainly beyond any roles or contributions of women. Taken together, these fictions indicate a desire to bear witness to truths about family relationships that could not be publicly acknowledged, yet clamour to be heard. Baynton’s characteristic narrative strategies thus reveal her difficulties in writing as a woman within a system of oppression in which suppressed truths could only be indirectly acknowledged. Baynton has acquired a literary reputation as a woman who writes against the bush tradition, who is openly critical of the masculinist bias of her time. While the bush remains mysterious and often threatening in her work, it is men who are also responsible for the alienation and abuse of women in the bush, or at the very least, failing to ease and sometimes even exacerbating the burdens women confronted in the natural environment. However, Baynton’s strong prose and opinions were not echoed by other writers of the time. In fact, Dorothea McKellar was a contemporary of Baynton’s yet her most famous poem, My Country, remains silent on gender, and though it does not diminish the harshness of the Australian climate and bush, it is a glowing love story of McKellar’s relationship with the land. In order to engage students and personalise this unit, students will bring into class two digital or print copies of two landscapes/seascapes that evoke an emotional response. These may be real places they have visited or images of places they have found online. The places that may make them feel nostalgic, happy, fearful, lonely, at peace, hostile, terrified, reflective, carefree. It is best is they chose two landscapes that have opposite effects. Student will work in groups of four and will share their photos with the group using the following procedure to ensure maximum efficiency and equal participation. They will produce a piece of writing about a place and their response to that place – this is a formative task and something they will use to build on/reject as they craft a polished piece of creative writing for Rich Assessment Task 1. Rotating around the group, one person will speak for exactly 90 seconds on only one of their two photos. Another member of the group will time this and there are to be no interruptions. Display prompt questions for those who might get stuck:Where is this place? What happens there? What kind of landscape/climate do you find there? Does it remind you of other people in your life? Do you like or dislike this place, and why is that? At the conclusion of the 90 seconds, no-one is to speak but each listener must write down on a post-it note or small square of paper the speaker’s name and two questions to push that narrative or description a bit further. The questions should be challenging and thought provoking. For example: Who else was with you? What sounds do you associate with that place? Have you been back there since? What weather conditions or time of year do you associate with that place? Who would feel most at home in that spot? What film genre would work in that place: horror, chick flick, mystery, historical romance? What kind of character might choose to live there? Keep these questions hidden and do NOT share them yet because they will distract the group. As the listeners record their questions, the speaker must write down two additional thoughts or directions not mentioned that could be developed further. Move on to the next speaker and repeat the process until each member of the group has presented. Now distribute the questions to each speaker (this means each speaker should have three sets of questions, or six questions in total plus their own notes written during group time). Provide exactly five minutes for the groups to clarify questions, talk some more, extend ideas and prepare each other for 15 minutes of silent sustained writing (or other time limit depending on class and individuals). It is up to each student whether they choose to reject or take on any of the six questions they have received from other group members. Ask students to use the experience of talking and listening in groups as the starting point for individual writing. Students may write in whatever form they wish: narrative, memoir, descriptive, expository, poetry and so on. Ensure questions displayed in Step 1 above are still visible to writers who may get stuck during this time, and also that students adhere strictly to the time limit. It does not need to be complete. Part 2 will work best if it occurs a day or more after Part 1 to allow some thinking space to break up the task. This time, students will work in groups again, whether the same or different groupings will depend on teacher judgement, though different groups can allow new perspectives/questions to emerge that may be useful. The same process is used but this time with an image that evokes an opposite or very different emotional response than in Part 1. The idea is to generate a very different narrative or description. Complete steps i-vii as above. Then move on to the following activities. Each group will draw up a three-column table, headed: 1. Positive, 2. Neutral, and 3. Negative. The group then categorises the images, verbs, adjectives, adverbs, nouns according to their positive, neutral or negative connotations. The purpose is for each group to see how a ‘perspective’ can be formed using language to invite the reader into that same perspective. Discuss the lists created and make the collective list available (have a volunteer record these live to a list that can be recalled by all class members at a later date). It may be necessary, and indeed useful to do some vocabulary work and some mnemonics/phonics to assist students to recall and spell unfamiliar terms. For groups, individuals or homework, have students take one piece of writing and reverse its positive/negative perspective by changing the images and languages. This should illustrate the power of language to engage and influence an audience. This activity is designed to illustrate to students that language choices construct alternative perspectives according to the author’s purpose (and this leads into critical literacy and critical writing pedagogy explored in subsequent sections and activities and assessment tasks later in this unit). Using Google image searches or their own images, have students identify and download an image of a landscape/seascape, eg a tropical rainforest, an urban street, a river, a mountain. The image should evoke a strong emotional response such as melancholy/joy; fear/peace; sadness/happiness; confidence/uncertainty. In groups, pairs or as individuals develop a piece of writing to capture a sense of that place according to their emotional response. Students might draw a range of language forms and features such as metaphors, similes, onomatopoeia, verbs suggesting movement, adjectives relating to one or more of the five senses, a brief description of a character who would feel at home in that place, or a brief description of a character who would NOT feel at home in that place. 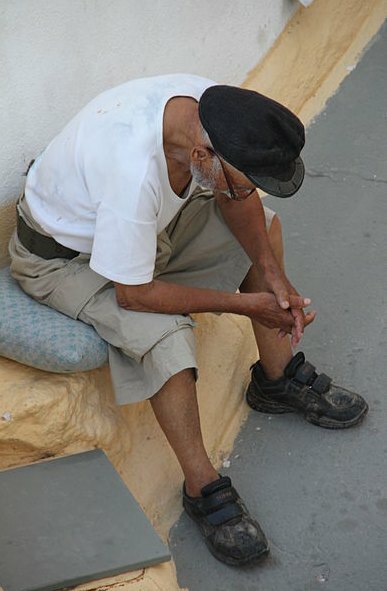 Now do the same activity, using the same image, but this time create the opposite or very different emotional response by way of metaphors, similes, onomatopoeia, verbs suggesting movement, adjectives relating to one or more of the five senses, a brief description of a character who would feel at home in that place, or a brief description of a character who would NOT feel at home in that place. In this unit, three of the six stories will be featured because these are immediately accessible and provide a comprehensive and interesting collection. Please note that in addition to the Text Publishing edition, all six stories are available as free PDF prints and free audio readings. It may be useful for some students to listen to the audio readings while following the print text (or listen to a more dramatic version live). It is possible to complete this unit using just one story, ‘The Chosen Vessel’. The remaining stories might be included depending on the needs and interest of the class, or as a step towards differentiation of the curriculum. While reading one or more of the three stories, students might be asked to record or collect each of the following and to make notes along the way. The purpose is to engage students in making connections between prior knowledge and experience and the story. More challenging analytical work of a literary nature is to follow. A collection of images that come to mind (downloaded or from their own collection). Actors they would have in each of the roles (download an image). Three of the most effective sentences or paragraphs from that story that if removed would reduce the story significantly. Three sentences that they believe should be the first to go if an editor suggested that three be removed. A prominent symbol or image for that story. A star rating out of five for how well they believe they story was told. A star rating out of five for how much they enjoyed the story. Two other texts (book, short story, film, poem, TV show etc.) that came to mind. A pallet of three colours they would use to create a movie poster for a short film based on that story. Three items from the story that should appear on that poster. An alternative title if the story was made into a short film. Students might work in groups, pairs or individually to respond in oral or written form to each of the points above, justifying their choices. If working in groups or pairs, they should work to resolve differences or make compromises as would be the case for a creative team working for a film studio or production company. Elements of the short story, gothic literature and Australian ‘bush’ literature are combined in this unit, and may be balanced or the focus shifted to whichever genre is of greatest relevance or interest to the class. There are no definitive ‘elements’ of any particular genre but academic and literary publications provide a wealth of metalanguage, some of which are listed here for your reference. There is obvious overlap between some terms so a more refined list for each genre might be selected according to the needs of the class. 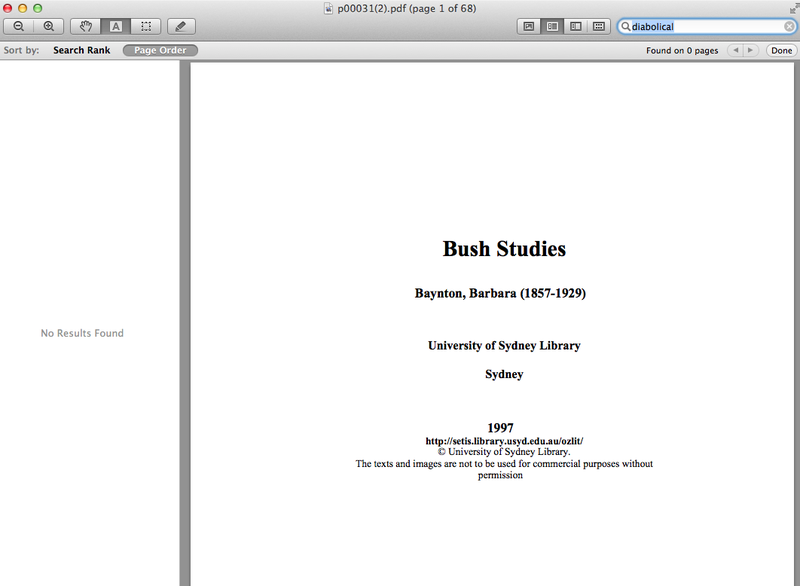 ‘No place for a woman: Barbara Baynton’s Bush Studies‘, S. Barrett. Students may work in groups, pairs or individually and, depending on factors of time, need and relevance, might focus on one or more of the short stories within the Bush Studies collection. At the end of this process, provide an opportunity for each person or group to share and get feedback on their responses. Using the table above, strike out any elements of a) short story, then b) gothic literature, then c) Australian bush literature that are not evident or relevant to the story under consideration. Using the elements of the short story in the first column, decide/agree upon four elements that are most easily explained or described or illustrated with reference to the story under consideration (e.g. point of view, or a dominant theme, or a strong protagonist). Using the elements of gothic literature in the middle column, decide/agree upon those elements that are most easily illustrated with reference to the short story. Record four sentences/quotes that illustrate four different elements of gothic literature. Using the elements of Australian bush literature in the final column, decide/agree upon those elements that are most easily illustrated with reference to the short story under consideration. Record four sentences/quotes that illustrate four different elements of literature in the Australian bush tradition. Consequently, it should now be possible to engage the students in an evaluation of whether their selected story/stories fits most neatly into one, two of all three of the groups elements and how salience influences their reading. If time allows and it is considered beneficial for the group, the following quizlets may be useful for the class – either as flash cards, quizzes, spellers’ tests, or races against time, or others. After completing these two quizzes, you might like to compose your own, or have students compile test items (for you to enter) so that they can test each other out in competition and in relation to the tradition of Australian bush literature. This may support their use of metalanguage and assist their drafting and proofreading of later assessment tasks. Using discussions and findings from activities 3 and 4, students will complete the Character Profile template (PDF, 180KB). evidence of literary devices and language use that construct images: onomatopoeia, rhythm and rhyme, vernacular and so on. Create a short, poetic form of exactly 50 words taken from one story from Bush Studies to capture one character’s physicality, significance, motivations, thoughts and actions. No other words outside the text may be used. The title must also be taken from the text and included in the 50 word count. Within these constrains provide as complete a picture as possible of that character. For those who wish, a visual element might be added in any of the following ways. Students’ attention will be drawn to how subtle and simple visual cues can enhance their communication, perhaps adding a dimension that was not possible within 50 words. Select a font, or use a style of handwriting to reflect the character you have chosen. Create a shape poem using those words to reflect the character you have chosen. Use a template of only three colours to reflect that character. Use minimalist character representations to accompany your poem. See examples here of minimalist designs of favourite childhood characters to inspire you or your students. This activity is a simple one and may be extended by having students convert their raw data into graphs to illustrate the use (overuse) of gothic language in one or more of Bayton’s stories. Alternatively, the class could be broken into six groups – one per story – to map the use of nouns, verbs, adjectives and adverbs traditionally used in gothic texts. This activity also leads nicely into Activity 8 later in the unit in the analysis of visual images, music and editing in Australian film. Provide students with this table from Virtual Salt: Elements of a the Gothic Novel. It may also be interesting to highlight that there is often a romantic thread running through gothic literature, and it is worth considering why such a thread is not evident in Baynton’s prose. Using the table above, carry out word searches for each of these within Baynton’s stories in Bush Studies. This will soon provide insight into the degree or otherwise of the gothic nature of the text. The screen shots below illustrate the process using the first and final words in table above: the word ‘diabolical’ does not appear at all within any of the stories, while ‘night’ appears 23 times. This may sound laborious but the task can be quickly achieved via the PDF search function and will provide some quantitative and visual data to illustrate just how the gothic language of the stories accumulates to provide the overall effect of the landscape and environment as gothic in nature. This activity is most efficiently carried out in pairs or groups of three with assigned roles such as reader, searcher and recorder. A fourth person might enter the data to generate a graph as the conclusion of the activity. What would be the impact if dismal was repeated 23 times – would it be more obviously repetitive? Are adjectives overused in these stories? Are modern readers’ responses influenced by the twenty-first century inclination to use as few adjectives as possible? Consider words like anxious, breathless, alarm, fear. Go into some of those sentences and remove or substitute those words to create an opposite or different effect. How would the stories work as gothic prose if they were constructed during the day, or the city, or in the absence of any superstitions, religious beliefs or myths? Ask students to consider how this language is conveyed in visual or musical or editorial elements in a film. How is a gothic atmosphere created to achieve the effects suggested by the language in the table? What are some film conventions that convey breathlessness, omens, impatience or vastness, for example? This activity clearly establishes for students the constructed nature of prose (and film) and the way in which environments, characters and situations are created for particular effect for an audience. The writer’s conscious creation of a particular mood and perspective is the basis of both Rich Assessment tasks 1 and 2 that students will undertake in this unit. Critical literacies are negotiated in the mundane and ordinary aspects of daily life. Critical literacies include an ongoing analysis of textual practices: How do particular texts work? What effects do they have on the reader? Who has produced the text, under what circumstances, and for which readers? What’s missing from this account? How could it be told differently? Critical literacy means practising the use of language in powerful ways to get things done in the world. Questions such as these can be important catalysts in the process. Critical literacies are as significant and important as ever. Perhaps especially so now, with the intensification and proliferation of information sources available to and accessed by young people who independently, and sometimes against the flow of common sense or opinion, may need to make judgements and assess the quality, reliability and perspectives of texts in all kinds of media: news, literature, multimedia, websites, social media, advertising, product placement and so on. To assist those unfamiliar or unsure about how to integrate critical literacies in the classroom, additional notes regarding critical reading are available elsewhere on this Reading Australia site. For example, in relation to Shaun Tan’s The Arrival, the writers of this unit articulate the critical dimension of Green’s 3D Model of Literacy. In this unit, students will not only undertake critical readings of texts, but also participate in critical writing and text production as classroom activities, and in both assessment tasks. While there is extensive literature on reading critically, and being critically literate, writing and critical text production have been less prevalent, despite it providing students with not only productive but receptive and analytic tools to use more broadly. Of particular significance is the work of Barbara Kamler in Relocating the personal: A critical writing pedagogy. Here Kamler describes a range of writing classes and exercises, as well as the process and products of writers who find their voice or speak and write against the grain. Kamler argues ‘that stories are not truths or universally applicable’ and that all stories are possible via multiple voices and perspectives. Further to this, she also claims that writers’ subjectivities can be altered or transformed in the process of writing critically (Kamler, 2001, p. 36). Kamler provides three strategies as the basis of her critical writing pedagogy, and these strategies are particularly relevant and can be applied to teaching and learning in this unit. Repositioning the writer as ‘expert’ and being able to show and tell their story even if it rubs up against dominant discourse or opinion. Providing students with the metalanguage and images to enable them to speak/write with expertise and move beyond fixed, rigid genres and rules that bind writers to a formula or the strict rules of genre. Supporting students to exercise power in their texts through metalanguage and grammar – whether it is through the use of modality and the active voice and/or the voice and narratives of those who have been silenced or who have not spoken out previously. And if we apply this to multimodal texts such as film posters or film trailers, for example, students will need support to identify and experiment with the techniques and elements of those forms. Each of these strategies is embedded in various ways within the activities and assessment tasks in this unit. In this activity, students will return to their groups and the writing they produced in either Activity 1 (Part A and/or Part B). Experiment by providing an alternative perspective by using alternative images, verbs, adjectives, adverbs and objects to create a dramatically different representation of the landscape that offered originally in either Activity 1 (Part A and/or Part B). 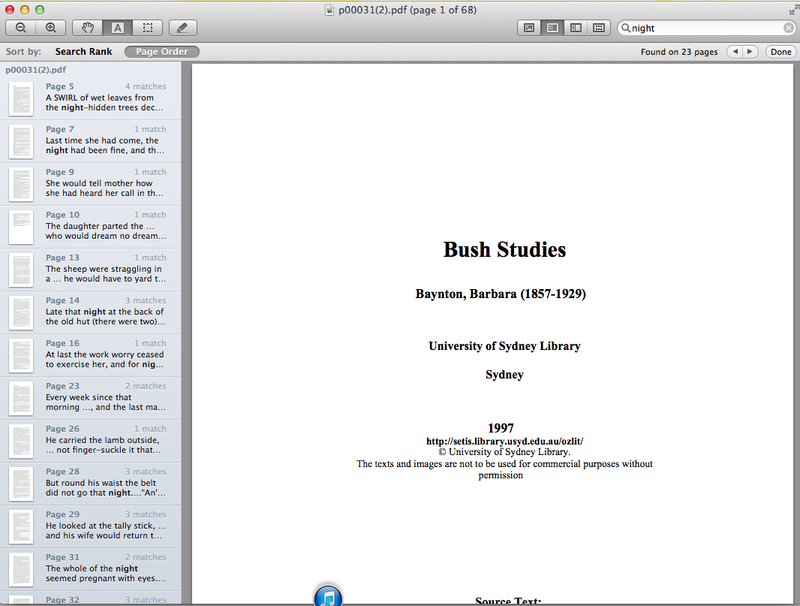 Select a section of one of Baynton’s stories from Bush Studies. This section will focus on the landscape (and possibly a character’s relationship to the land) and be between 100 and 200 words in length. This section should now be rewritten, using alternative images, verbs, adjectives, adverbs and objects to create a dramatically different representation of colonial women and/or the Australian bush than that offered by Baynton. These re-cuts or ‘honest’ trailers are examples of critical (re)writing and illustrate that critical pedagogy and literacy can be creative and fun. Each of the trailers demonstrates a clear understanding of the initial techniques and intentions of the filmmakers and through re-constructing, re-combining and re-editing, the films convey a new perspective. The same could be achieved without humour; however, it is likely the humour of each of the trailers is the cause of their massive reach and success as viral texts. Students may be inspired by these re-cuts to create one of their own in Part 4 of the assessment task outlined below. The following series of YouTube tutorials examines not only the conventions of film trailers, but a step by step demonstration to create re-cuts. Please note that the software required is open source (free). These videos will be of particular interest to those students who opt for Part 4, Option 2 where each student will create a re-cut of one of the Australian film trailers below. For this task, students can select from a range of trailers of well-known Australian films. Examples are provided at the end of this section. More are available in the reference list and students may have others to add. Students may benefit from working in groups and sharing ideas, and especially so for Parts 1 and 2. Parts 3 and 4 are designed and assessed here as individual tasks, though adaptations could be made to the task and rubric to accommodate group work. What is the general mood or impression of this landscape within the trailer, and how has this been created? What appears to be the relationship between the land and one or more of the characters featured, and how is this relationship created? What is most promising or beautiful about this landscape or place or community, and what elements of the trailer suggest this to you? What is most threatening or hostile about this landscape or place or community, and what elements of the trailer suggest this to you? How is the representation of the the Australian bush in the trailer consistent or inconsistent with Baynton’s representation in at least one of her stories from Bush Studies? Use two or three examples from the trailer and Baynton’s prose. Using the same trailer from Part 1, identify and describe ten decisions made by the filmmakers (or writers/directors/cinematographers/musicians/actors etc.) that have influenced your answers to the questions above. What decisions do you think were made about the time of day, costuming, music, editing, camera angles or distance, dialogue, use of colour, weather conditions, text on the screen, title, pace of editing, use of silence, character make-up and other elements that seem significant for that trailer. It can be useful to ask students to imagine the creative team sitting down under a tree in the bush, or in a city office, and arguing over a character’s hairstyling, the colour of a car, or whether the movement of the character through the bush should be captured via overhead aeroplane shots, from the ground looking up, or a dolly shot. This link will take students to an excellent list of film-making terminology from Penn State University. Access to such a list and some teacher support to understand the terminology aligns with Kamler’s view that access to and use of metalanguage is a central foundation of critical literacies. Part 3 builds on Parts 1 and 2 and makes a connection to Baynton’s prose storytelling in Bush Studies. How have the filmmakers for your selected trailer represented the Australian bush, and how is this consistent and/or inconsistent with the representation of colonial Australia in Baynton’s Bush Studies? Ensure that you draw on precise techniques from the trailer as well as quotes from Bush Studies to support your view. Choose ONE of the following two options in relation to the trailer analysed in Parts 1 to 3.
altering three or four elements of the trailer. and the video tutorials provided. This final activity links back to Barbara Baynton’s Bush Studies and provides an opportunity to create either a storyboard or a video trailer (using skill sets from Part 4, Option 2) for one of her stories from Bush Studies. The challenge is to create a representation of life for women in the Australian bush, consistent with Baynton’s perspective. This video is useful as a reminder of the conventions of trailers and should guide your creation: Recut Trailers: The Conventions of Movie Trailers (Part 1). Please refer to the rubric provided (PDF, 167KB). One approach is to adapt Green’s 3D Model of Literacy, originally designed to support the integration of ICTs in literacy education. However, the model can and has been adapted to support an integrated conceptual model for teaching and learning more broadly within English. In this case, Green’s 3D Model is used to support teachers to deconstruct the text according to three overlapping dimensions, in no particular order, to ensure thorough analysis and preparation for teaching. While students are not expected to engage with the theoretical model, its use may support teaching that facilitates students to engage with the text in its entirety and complexity. The 3 Dimensions are: Operational, Cultural and Critical. How is the text made? How, in the case of Bush Studies, has Baynton created mood, setting and character? How have events been sequenced to create a narrative? What is familiar within the text? What is connected to your experience, your community, your nation, your world? What prior knowledge or knowledge of other texts do you bring to these stories in order to make sense of them? Does Baynton have a particular view of the experiences in these stories and if so, how is this communicated? Is it possible to determine her beliefs relating to, for example, gender and power from reading these stories? Is there an alternative view of the experiences she presents to the reader? What might someone with opposing values say or feel about this text? How could one of the characters in this book be transformed to reveal an alternative view? Durrant, C., Green, B. (2000) Literacy and the new technologies in school education: Meeting the l(IT)eracy challenge? Australian Journal of Language and Literacy, 23(2), 89-108. Green, B., Beavis, C. (2012) Literacy in 3D: An integrated perspective in theory and practice. Camberwell, Victoria: ACER. This quote is useful because it reminds the reader that characters, places and events are never single-dimensional or absolute, and this it true of Baynton’s women. Despite their marginalisation in the bush, it is also true that they are not necessarily or always helpless. Each character presents new perspectives, whether it is the young woman battling through a storm, an exploited wife left to do the hard work while her mate finds a nice spot to brew up some tea, through to the woman dying in terror with a baby attached to her clothing. While previous exercises have taken students through a range of steps and analysis of Baynton’s prose and Australian films, it may be productive for students to work back through the film trailers to examine whether the trailers reveal characters as victims, agents or witnesses. A class discussion on whether the actions, adjectives, images, sound, relationships to the bush and community, clothing and demeanor of central characters construct them as victims, agents or witnesses within the bush will help all students to complete the following and final assessment task. In this final task, students will undertake some creative writing as an exercise prompted and inspired by Bush Studies but not in reference to it. In this instance, the setting might be a contemporary Australian suburb, the base of the Blue Mountains, a cattle station in remote Western Australia or a broad, open beach in Far North Queensland. The protagonist might be male, female or transgender, depending on the imagination of the writer. nouns and verbs that give the setting some substance. that antagonist is a person or a circumstance or the physical environment). You are now ready to write the opening section of a novel/novella/short story where your character is predominately a victim. If you are stuck for ideas on how to start, consider one of the following: waking up on a very significant day and beginning to think about what is ahead; walking into a crowd trying to find the way to something; stepping off a bus onto a quiet street. However, do not make the victim entirely helpless but hint at some agency or witness so that the reader does not give up on the character. This movement and mixture across the three dimensions of victim, agent and witness will also make the character more complex and interesting. Try to make your opening interesting by using verbs to describe actions and what is happening, while avoiding too many adjectives because these tend to slow down the text. You should aim to construct, edit and proofread your opening section and try to create an interesting opening with tight prose, and some dialogue if you wish. The aim is to create an opening for your story that is worthy of further development. That is, make it interesting and ensure that the victim is not so helpless that we fail to care about their situation. Create an interesting title for the story. Now, using the text from Part A rethink and rewrite the protagonist, but this time as one who is much more an agent than a victim. Give the character more confidence, power and an attitude of having control over what happens to her/him. This transformation of the text is an example of critical writing pedagogy. Use the same image, same notes and same process as in Part A, but this time create an alternative representation of that person in the same section. You will find that you may need to change a number of elements of your story, including the kinds of verbs, the nouns, and dialogue if you have used it. Create an alternative, interesting title for the new version of the story. In this final section, comment on which of the two pieces you believe is the more successful and why. Discuss the language choices you made to produce two different readings of the same character in the same environment, and how this exercise might influence your reading and understanding of fiction in the future. Please refer to the rubric (PDF, 121KB). Free audio readings of each short story in the collection. Kamler, B. (2001). Relocating the personal: A critical writing pedagogy. Albany: State University of New York. (Particularly Chapter 6: Language, Gender, Writing). Comber, B. (2001). Negotiating Critical Literacies, National Council of Teachers of English, April 2001, Vol 6, No 3. Comber, B. and Nixon, H. (2014), in Pandya, J. & Avila, J. (Eds. ), Moving Critical Literacies Forward: A New Look at Praxis Across Contexts. Routledge. ROSIE KERIN is a freelance writer and education consultant. Her 15 year career as a teacher of English, and as a curriculum and school leader, spanned middle, secondary and senior secondary schools in South Australia. While a literacy consultant for Catholic Education South Australia, Rosie completed her doctoral research exploring the changing practices and identities of mid-career English teachers as they mastered and integrated digital technologies within their professional contexts. Between 2006 to 2012, she taught English and Literacy courses at undergraduate and postgraduate levels at the University of South Australia. Her teaching and research interests include the ever-changing scope and field of English teaching, particularly in relation to the integration of evolving texts and digital technologies in classroom and professional learning. Rosie loves written language and the visual arts, and has a passion for creative writing, reading and film.